James L. Sherley graduated from Harvard College in 1980 with a B.A. degree in biology; and he completed joint M.D. and Ph.D. degrees at the Johns Hopkins University School of Medicine in 1988. After post-doctoral studies in cancer cell molecular biology at Princeton University, he joined the Fox Chase Cancer Center as a principal investigator in 1991. 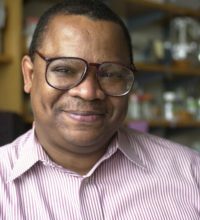 In 1998, he joined the faculty of the future Department of Biological Engineering at Massachusetts Institute of Technology, where he undertook research and teaching in the areas of cancer cell molecular biology, tissue stem cell bioengineering, toxicology, and environmental health science until moving to Boston Biomedical Research Institute (BBRI) in 2007. As a Senior Member of BBRI’s research programs in Regenerative Biology and Cancer Biology, Dr. Sherley established an academic center for developing adult stem cell-based technologies for advancing cellular medicine. After leaving BBRI, in October 2013 he founded Asymmetrex, LLC, which he now directs. Asymmetrex has the mission of advancing technologies for stem cell medicine. Dr. Sherley’s awards include 1993 Pew Biomedical Research Scholar, 2003 Ellison Medical Foundation Senior Scholar in Aging Research, and 2006 NIH Director’s Pioneer Award. He is also “PGP-10” in the Personal Genome Project at Harvard Medical School. On February 23, the Missouri House Children and Families Committee heard five bills on issues stemming from the Center for Medical Progress’s undercover video exposé of Planned Parenthood, including: the sale and final disposition of aborted fetal remains, post-abortion tissue reporting requirements, and employee protections for whistleblowers. Among those who testified in support of the bills was Dr. James Sherley, M.D., Ph.D., a physician scientist with expertise in biomedical research, cancer biology, and adult stem cell engineering. Dr. Sherley is founder and director of Asymmetrex, LLC, which develops new technologies for ethical adult stem cell medicine and drug discovery.